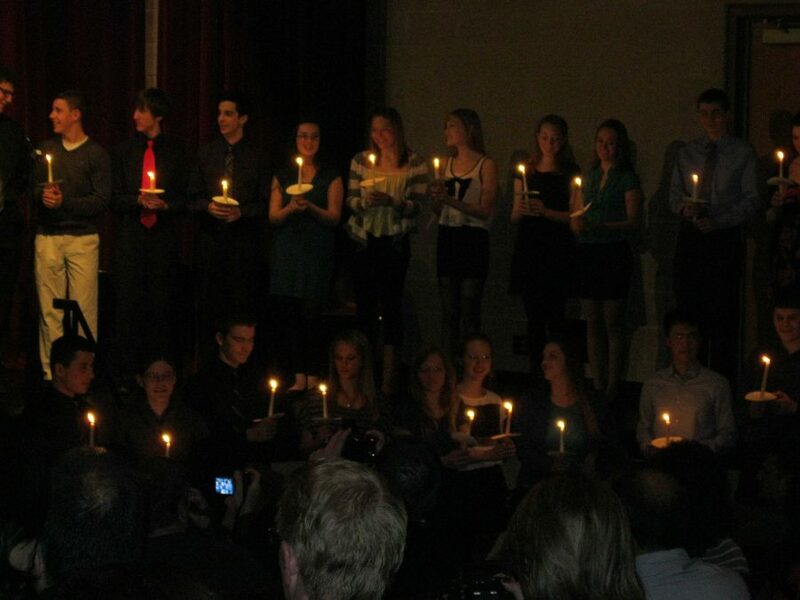 Last night, Huntley High School welcomed the newest members of the National Honor Society in its annual candlelight ceremony. The 97 new members were inducted in the PAC by the 66 seniors that have been in NHS for two years. The ceremony began with a speech from NHS President Gail Malecki, who discussed the goal and history of the NHS organization. Following introductory speeches, current members of NHS introduced the new inductees by giving their name and describing their interests and extracurricular activities. 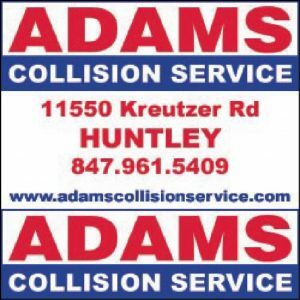 Huntley High School’s future principal, Scott Rowe, who is the current principal of Marlowe and who will be taking over for current principal of Huntley, Dave Johnson, next year, also gave his first official speech to the high school students about the pursuit of knowledge. During the ceremony, Malecki, NHS Vice President senior Katherine Hamilton, and other NHS officers presided and also gave speeches about the core values necessary to be a member of NHS. Scholarship, service, character, and leadership are the four main pillars of the NHS program, and as each was discussed, a candle representative of that characteristic was lit from a larger candle, representative of the eternal flame of knowledge. Following this candle lighting, new inductees proceeded to the stage of the PAC to collect their own candles, which were lit in a line to represent the beginning of their time as official NHS members. When the candles were extinguished, both old and new members went onstage for a photo opportunity. Upon the conclusion of the ceremony, the members and their parents were welcome to refreshments outside of the PAC. Math teacher Pam Stone, who is head of the National Honor Society program at Huntley High School, organized the ceremony. “It’s nice for everyone to come together and enjoy the ceremony,” said Stone. As members of the society, students are expected to regularly attend meetings, complete 15 hours of community service per semester, and organize at least one service project for the school to participate in. The next meeting will be held on March 20, and will be the last NHS meeting before Spring Break.